Providing a solid foundation, NUTRITION & DIET THERAPY, 12E delivers a completely up-to-date introduction to the essentials of nutrition concepts, good health, and client care. It equips you with the tools to more effectively help clients improve their nutrition and overall health -- as our nation faces higher rates of preventable chronic disease resulting from poor diet quality and physical inactivity. 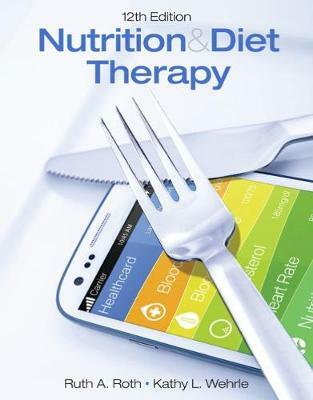 Extremely student friendly, it is organized around three simple concepts: Section 1 covers the fundamentals of nutrition, Section 2 explains nutrition over the life cycle; and Section 3 addresses medical nutrition therapy. Maximize your course success with the numerous hands-on activities throughout the text and the MindTap digital learning solution, which includes an interactive eBook with highlighting and note-taking functions; self-quizzes; client scenarios; flashcards; interactive Case in Point and Rate this Plate exercises; NCLEX-style quizzing; and a Diet & Wellness app.